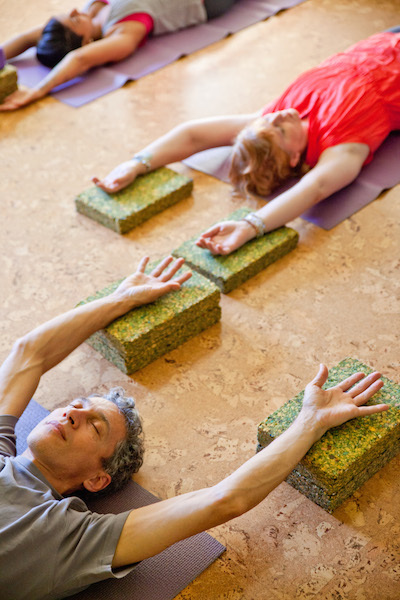 Maggie Reagh, MA, E-RYT 500, and founder of Yoga Therapy International speaks about the power of yoga therapy and the role of yoga therapists as a facilitator to healing. In the fall term, we move through the 5 movements of the spine around samasthiti (standing tall with your feet together in a balanced way). These practices include forward bends, side bends, twists, inversions, and back bends. For the coming Spring session Maggie Reagh will be running a special 5-week term starting back on Sunday, April 12th finishing May 14th. 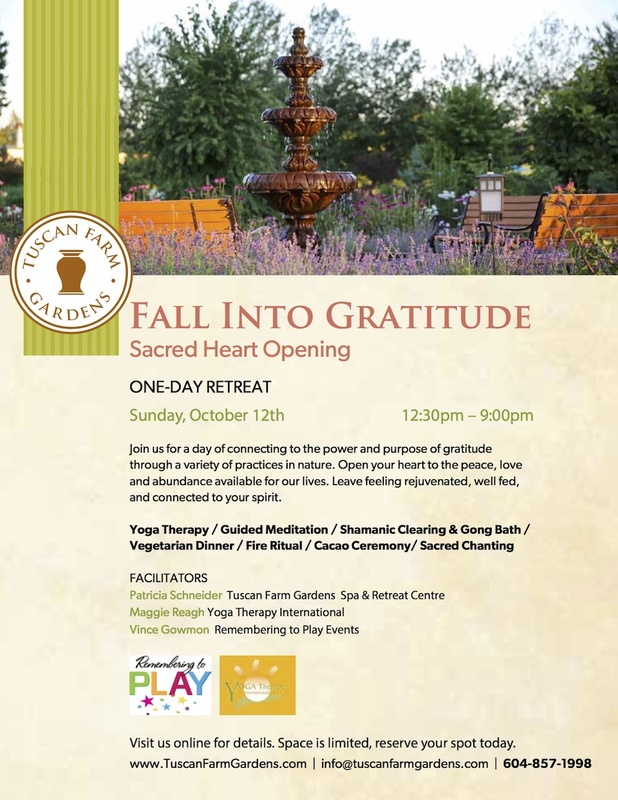 This one day retreat, Sunday Oct 12th, 12:20pm to 9:00pm, focuses on connecting to the power and purpose of gratitude through a variety of practices in nature.